You might ask why? But I needed to do this the other day for some screen shots, and if I had to work out how to do it then someone else will want to use Aero on Windows Server 2008. Besides I’ve seem people running this OS on their Laptops etc, so if it were me, I’d rather look at Aero than the standard windows “Theme”. (Updated 01/12/12). I had a user that needed his Remote Desktop Services (Terminal Services) users, to get an Aero themed desktop, so his RemoteApp applications would run with the correct icons. 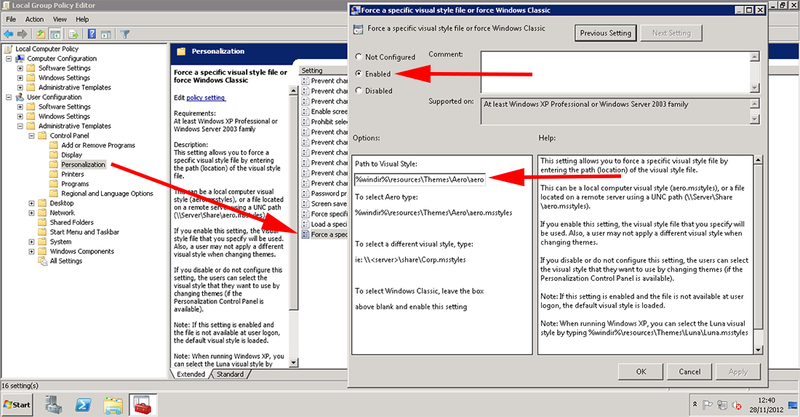 In this case the easiest solution is to setup a LOCAL policy on the Remote Desktop Services server to force this. Copy that path to the clipboard > Apply > OK.
2. 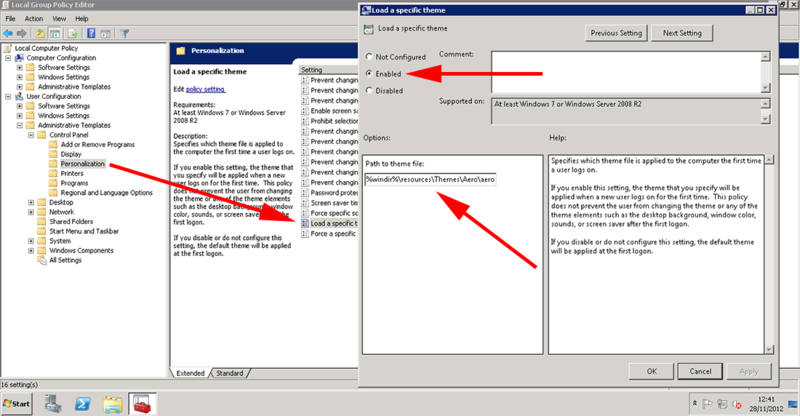 The next policy is directly above and is called ‘Load a specific theme’ > Enable the policy > Paste in the same path as above. Thanks to Michael Dixon at Springvale EPS for his assistance.